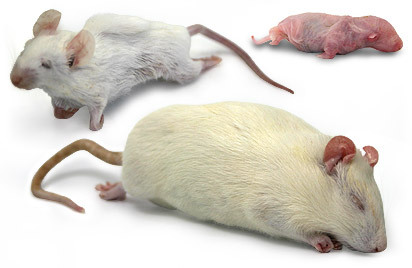 Now available, Frozen Rats and Frozen Mice, ideal food for snakes, large birds of prey and other exotic pets. Each rodent can be purchased in a variety of sizes, from pinkie to jumbo. This is a special order so Contact Us if you wish to consider purchasing this product. Note: As with any species, do not feed an exclusive diet of only one insect. In the wild, all animals that feed on insects will eat 50 or more varieties, giving the animal a varied vitamin and mineral intake. As pet owners or breeders, we must approximate the feeding habits and the best way to do this is by feeding an exotic mix of bugs.